No matter what brand of cosmetics you buy, the product has to look good, this includes the packaging. Let’s face it, the outside packaging is what first attracts your attention and if it does not look good, you may never notice it. 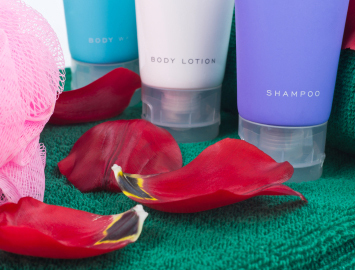 The packaging of any cosmetic product is of the utmost importance as it is the primary influence on which consumers base their choice to buy the product or not. Packaging of a product plays a vital role in the marketing of the product to consumers and also ensures that the product remains well protected. Keeping up with current trends in the cosmetic industry is essential to maintaining a competitive edge. Cosmetic packaging is moving away from the futuristic, high-tech appearance of the past and becoming more natural and simple. The new approach is considered more sensible. 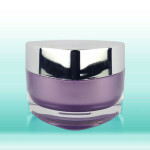 Cosmetic tubes overcome the limitations that have been set by using jars. Tubes are able to meet the needs of cosmetic and beauty brands on many different levels because of their advanced materials and simple decoration. Tubes have narrow openings which are responsible for being a protective barrier against contamination and the preservation of the shelf life of the product. 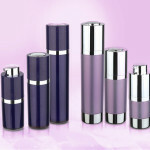 Cosmetic tubes can have a variety of different uses in the beauty industry. There are many different sizes, styles and even toppers that can be used with these, so buyers have a lot of choices available to them. Originally tubes were made from metals such as aluminum, lead and tin. Colgate & Co brought about the much needed attention in the development of tubes. Looking at several trends in tubes we find that we have moved away from rigid packaging designs to polyfoil technology which provides 100% protection from light, together with a soft skin like texture. This trend also provides tremendous savings in packaging costs of both large and small brands. Brand owners have shown a preference for multi-layered laminate tubes. The barrier layers provide much more protection and they are made by using aluminum, plastic resin or ethylene vinyl alcohol. This packaging is able to bounce back to its original shape because of the increased use of plastic-based laminate material. A sophisticated look is provided by the oil polymer tube. Not only does this tube give great barrier protection it also eliminates creasing. 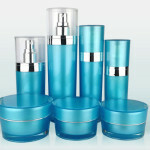 Airless packages are another trend that is popular in the tube industry. Airless pumps are able to preserve the complexity of the formula by keeping out air and other contaminants. This helps to retain the original moisture content for longer periods than the conventional plastic tubes. These tubes reduce costs and production time and are able to be filled on the standard tube filling lines. Incorporation of a pump mechanism has clear benefits, making Airless another trend that is in great demand in the tube dispensing system. The flip top closure trend is one of the greatest innovations in tube closure designs. Flip-top closures that have been combined with unit dose dispensing , offers a cap system that appears to be the normal flip top, but it has an internal closure system. This allows for controlled closing options. These basic closures also have decorative options such as metallic hot stamping, either on top or on the sides. These decorative closures have become another trend of note. These come available in black, white or clear and have twist bottoms that push the lip balm straight to the top. These are paired with solid toppers that come in a variety of different colors. These come in cylinder as well as oval shapes most commonly. These are normally made from polypropylene plastic that is affordable, lightweight and easy to clean. These tubes can also be used for lotion and solid perfume. The standard size will hold .5 ounces, although there are various larger sizes available to choose from. While twisting tubes are most popular, there are some that have roll on toppers with flat caps that go over them. 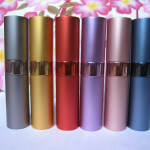 These are perfect for liquid lip balms, liquid glosses and liquid perfumes that need to be dispensed on the skin easily. These start at 1/4 oz size and go up in size from there. There are also toppers that have hooks on them to easily link onto key chains or belt loops. 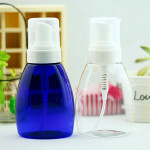 Tubes for deodorant and other body care items come in circular and oval shapes most commonly and are made from polystyrene. These generally hold 2.5 ounces, but larger sizes can hold more than that. These either twist at the bottom to raise the deodorant back or have push up bottoms that don’t require twisting. 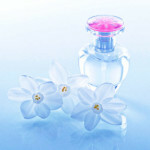 These can also be used for solid perfumes, body products, sunscreens and more. They are normally topped with solid colored screw caps, but pop on caps are popular as well because they are easy to put on and take off. 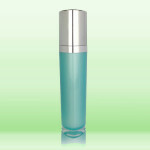 There are many different sizes of tubes available for cosmetics like lotions or body creams. 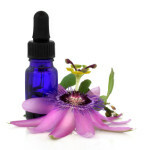 These range from 1ml to 300 ml and include have sizes in between most even numbers as well. The length of the tube will depend on the capacity and shape that is chosen. Polyethylene is one of the most common materials used for cosmetic tubes because it’s affordable, easy to use and lightweight. The wall thickness is generally either .4 or .5mm so getting product out is easy. As for shapes, round or airless are both commonly used options. The airless is thinner and more cylindrical while the round holds more air and takes up more space. Top diameters differ for the shape of container that is chosen. The most common types of neck styles include: standard thread, top-star, extended nozzle thread, short nozzle thread and membrane head thread. There’s also a standard round top that is used for precision applications. Seals can be placed at the top of the nozzles (if desired) and then standard caps can go over those. Since there are so many different sizes of tubes, these can be used for endless types of cosmetics. They can also be custom created so the appropriate material, size, shape and capacity are chosen based on the cosmetic that is going inside.